Nothing can replace years of on the scene coverage of events - knowing the players, and who and what is important. 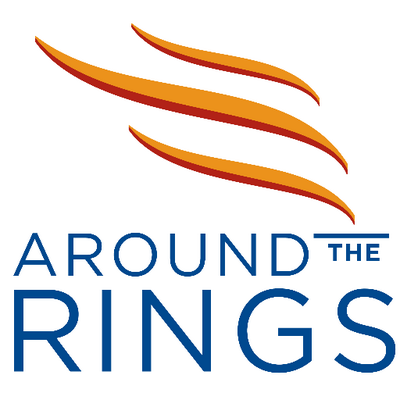 That's where Around the Rings excels. For more than 20 years, Ed and Sheila Hula and their team of correspondents have been on the scene of virtually every important event on the Olympic and Paralympic calendar. From the selection of every host city since 1990 to IOC votes on changing the sport programme to multiple visits to assess cities' bids, Around the Rings is there. AXSChat is a collaborative community founded by Neil Milliken, Antonio Santos & Debra Ruh, its aim is to spread knowledge and build a community based around accessibility and disability inclusion. AXSChat acts as a central hub for content and also for posting information about the weekly events run by the team. Every week the team hosts a 30 minute video interview on topics relating to innovation around inclusion which is followed by a one-hour Q&A session on Twitter using the hashtag #AXSChat. The chat is welcome to all to participate and to date many thousands of individuals have participated and the message of inclusion has spread along with the #AXSChat hashtag. Axschat is the largest Twitter chat in Europe and a top five Twitter chat globally on any topic. The AXSChat team also participate in live events such as conferences and often can be found live tweeting on the topic of accessibilityand inclusion. HOST CITY is the magazine of choice for sports federations, organising committees, bidders and suppliers in their quest for best practice on how to host and deliver sports, business and cultural events. HOST CITY was first published in 2003 for the organising committee of the 2008 Beijing Olympics. Since then, the publication has expanded to reach the international community of stakeholders in all major events, from the 2016 Rio Olympics and the 2022 World Cup in Qatar to smaller championships, exhibitions and festivals. HOST CITY brings together all stakeholders in major event hosting. The HOST CITY annual conference and exhibition is now well established as the leading meeting of cities and sports, business and cultural events. Sportcal has evolved. At the forefront of the industry for 25 years, we deliver unrivalled sports industry news and insight to our range of global clients, providing more data analysis than anyone else. Over that time we’ve gained a wealth of knowledge, providing some of the biggest names in the industry with essential decision-making information. Leading innovation through our brand new Intelligence Centres, these pioneering platforms are transforming the way subscribers access information on Media, Sponsorship and Events. Advanced graphics, extensive historical data and the functionality to export ensures these Intelligence Centres will elevate Sportcal’s service to even greater heights. Sportcal Insight service brings together News, Calendar and Directory, as well as our Sportcal magazine published 4 times a year. We are also the lead partner for the Global Sports Impact project. MEI is the global Major Events support network giving clients the edge by providing greater connectivity, greater market profile and complete campaign management. MEI expertise enables our clients to be better informed and better positioned to succeed in the Major Events market. We offer a complete and multi-layered servicing approach depending on a client’s business objectives and market requirements ranging from entry level membership to the Major Events Network, to extended services and short term project based work; right through to strategic business development and ongoing business support.